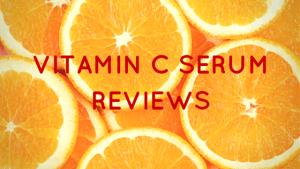 What does the ArtNaturals Vitamin C Serum do? 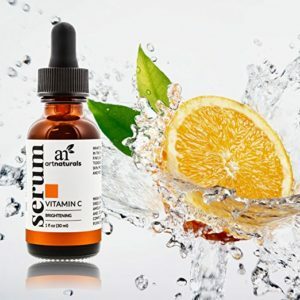 With 20% vitamin C, Ferulic acid and vitamin E, this serum is packed full of potent antioxidants which help to minimize dark spots, sun spots and age spots and brighten your complexion. The 11% hyaluronic acid gives a super boost of hydration to your skin, reducing fine lines and plumping up your skin. 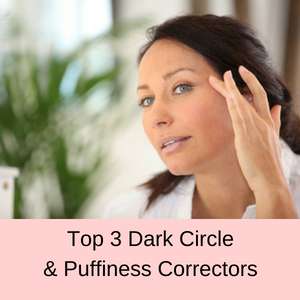 The result is a more youthful, softer, fresher and healthier complexion. No greasy residue on skin. Who should use ArtNaturals Serum? 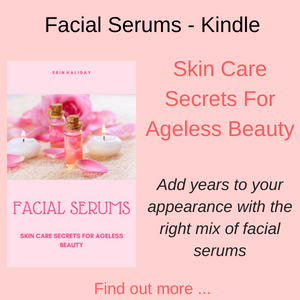 Anyone who has started to see a few lines around their eyes or forehead, a loss in definition along their jaw line will benefit from using this serum. 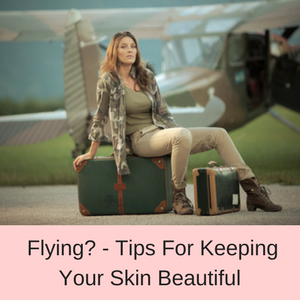 Also, if your complexion is uneven with patches of darker skin, maybe age spots or sun spots? – then this vitamin C serum with hyaluronic acid will make a big improvement to the look and feel of your skin. 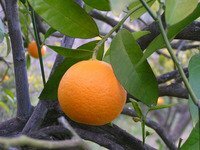 How do you use this Vitamin C Serum? Once you have cleansed your skin and patted it dry, massage a small amount of the serum into your skin and let it dry. This serum will absorb quickly into your skin and once it is nicely absorbed, then follow up with your favorite moisturizer. You can use this serum daily under your makeup. Bottle with drop dispenser – 1fl oz (30mls). This serum is 72% organic, vegan certified, paraben free and cruelty free. The packaging is also made from recycled materials. The ArtNaturals serum contains 20% vitamin C, 11% hyaluronic acid, amino acids, Ferulic acid, witch hazel, aloe extract and vitamins A and E.
Vitamin C is a potent antioxidant that protects and repairs your skin from free radical damage. 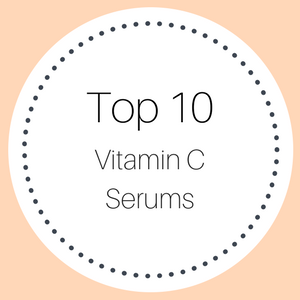 So including vitamin C in your serum, particularly a 20% concentration will help to even out your skin tone, reduce age spots, sun spots and dark patchy areas, as well as brightening your complexion. Hyaluronic acid has been called the fountain of youth as it can hold more than 1000 times its own weight in water. It can also penetrate your skin deeply, delivering hydration where it is needed. 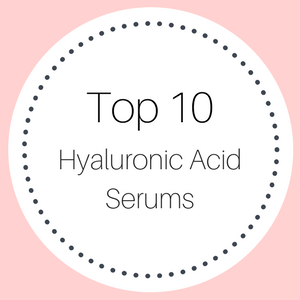 Hyaluronic acid is also essential in the production of collagen, so including hyaluronic acid in your serum will help to plump up your skin, soften the texture of your skin and redefine your jawline. Vitamin E is essential in cellular repair and is another super antioxidant. 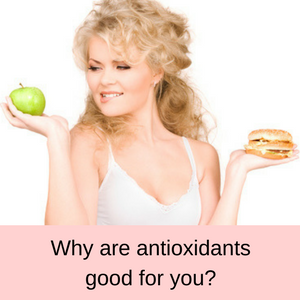 In fact its antioxidant properties are even stronger than vitamin C, so you have a super dose of antioxidants to even out your dark skin tones and freshen up your complexion. 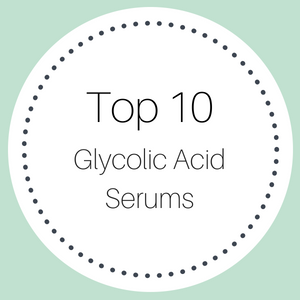 Ferulic acid is yet another antioxidant, so you have lots of help to brighten and correct your complexion with this serum. Ferulic acid can actually make the other antioxidants work better, so it is a great ingredient to have in your serum. 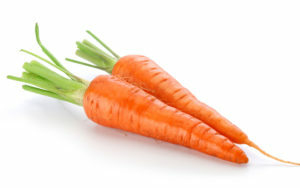 Vitamin A helps to stimulate the production of collagen in our skin and along with hyaluronic acid helps to reduce fine lines and redefine your skin. 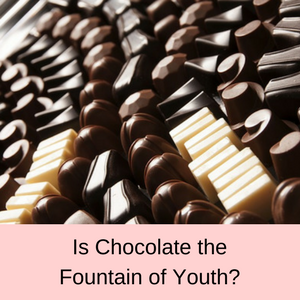 Since it is an antioxidant as well, you have yet more help in evening out your skin tone and reducing hyper-pigmentation in your skin. Vitamin A also has a slight exfoliating action, so cell turnover is encourages, clogged pores are unblocked and blackheads removed. Amino acids supply nourishing nutrients to our skin, strengthen connective tissues and keeps our skin elastic and supple. Research has shown that combinations of amino acids help reduce fine lines and increase the production of collagen in the skin, which has been affected by exposure to UV rays. Exposure to the sun depletes the amount of amino acids in our skin, which in turn reduces the amount of collagen and elastin, resulting in aging skin. So it only makes sense that replacing these protein building blocks using a serum, will help to replace the elastin, stimulate collagen and give our complexion a more youthful, fresher appearance. Witch hazel is an old remedy, long used for its astringent and anti-inflammatory properties. 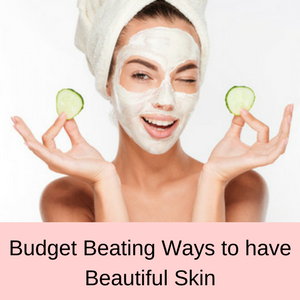 It has lots of different functions from reducing the amount of oil in our skin, to helping prevent and heal acne, to healing cuts and bruises. 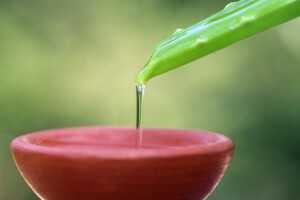 Used by the Ancient Egyptians, aloe was thought to be a plant of immortality, because of its powerful healing properties. 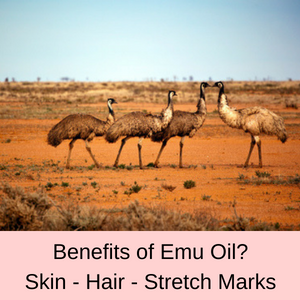 It soothes and heals sunburnt skin, as well as itchy, dry or flaky skin. Aloe also reduces inflammation and contains lots of antioxidants, such as vitamin A and E. So it is an all-round great ingredient to have in your serum. Nearly 90% of customer reviews giving this serum a 4 or 5 star rating, you can understand why it is a Best Seller on Amazon. PROS: Chocked full of antioxidants to even out your complexion and the hyaluronic acid helps to deliver moisture deep into your tissues. This serum absorbs easily, is non-greasy and is suitable for vegans. CONS: A few people have found no difference in their skin and others have complained about the smell of nutmeg from this serum. However, the vast majority of customers don’t have any problem with a nutmeg odor. Absorbs quickly so I can apply my makeup right away. Lightweight and dropper adds to easy application. Very easy to apply, because it goes on smooth and absorbs into the skin quickly. My skin looks a lot brighter and healthier. Love this serum. Really made my face look a lot better. I was surprised with the big improvement that I saw. My face looks much healthier and less run down. After a few days of using this product I already see improvement on my dark spots and eye puffs. My wife also love it. I really love this serum! It only takes a tiny bit. I top off my skin care regimen with it! It feels amazing! 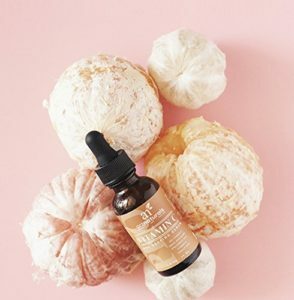 The ArtNaturals Vitamin C Serum contains 20% vitamin C and helps to reduce fine lines, plump up your skin and minimize age spots and sun spots. This serum not only brightens your skin and evens out your skin tone, but it also hydrates your skin as well. There is no greasy residue, as this serums soaks deeply into your skin, leaving it feeling plumper, fresher, more hydrated and more youthful than ever. At such a great price, it is time that you added the ArtNaturals Vitamin C Serum to your bag of tricks! 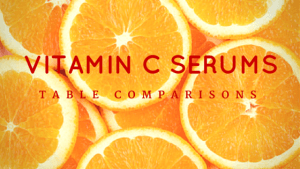 Read my vitamin C table comparisons here. 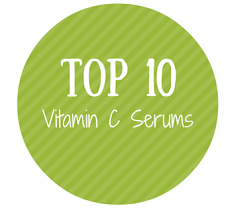 Read my Top 10 Vitamin C Picks here.